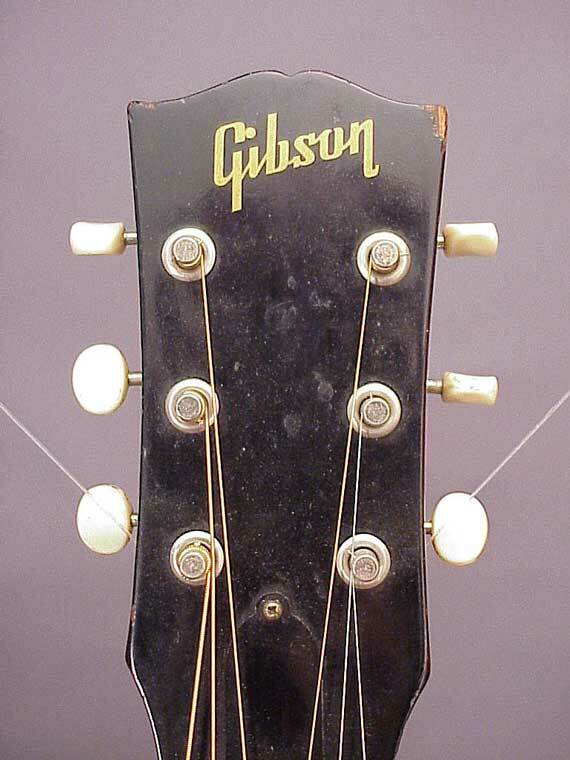 It was the height of the 1960s folk revival, and along came Gibson with the stylish F-25. 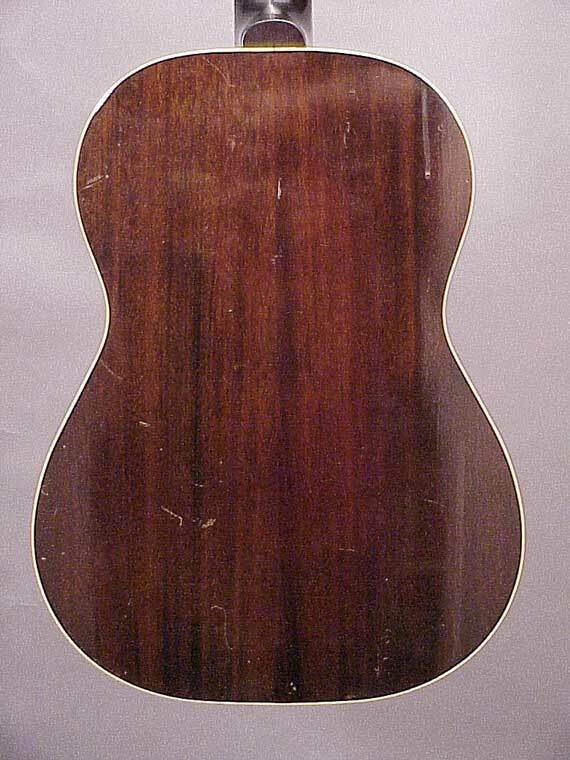 It has a fine pair of white flamenco tap plates, and its neck is a full two inches wide at the nut. 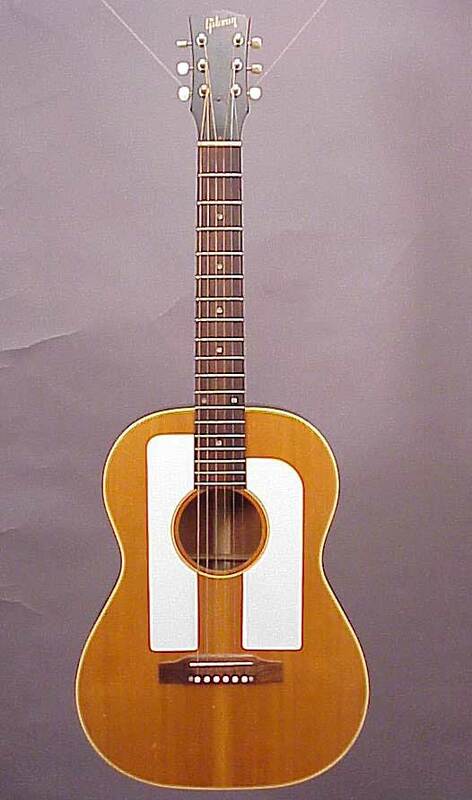 Only thing is, though, it's a steel string guitar. Now, to be sure, this derivative of the B-25 has a pleasant Gibson tone. The extra wide neck is appealing to some players, too. Not much we can say or do about those tap plates, though. 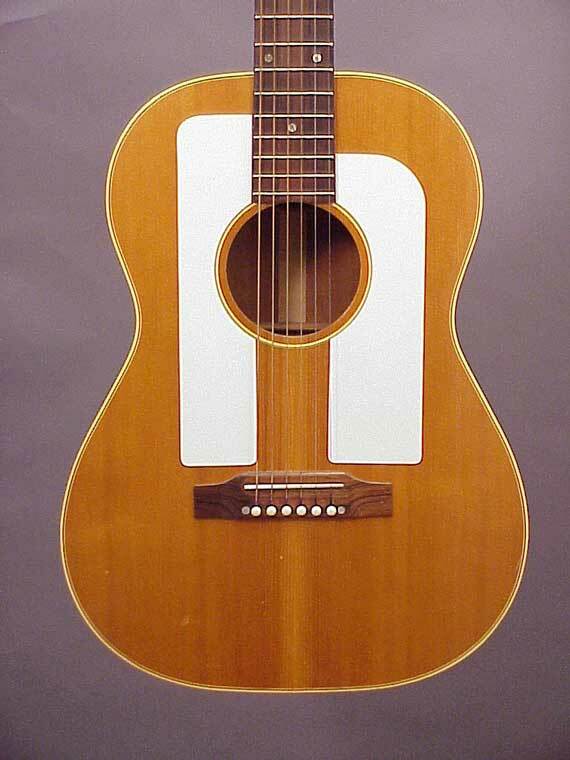 The tap plates give this guitar a "Spanish" look. . . Check this out. 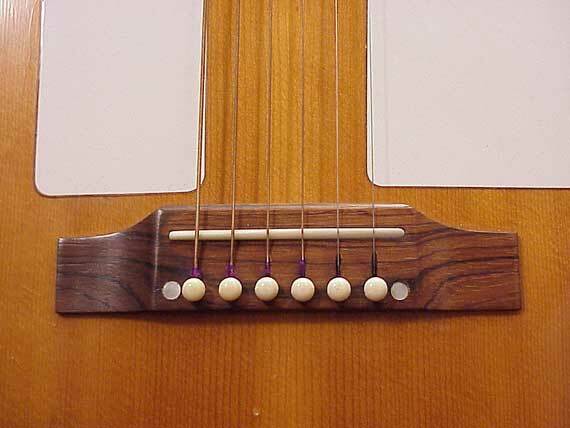 Even though it's a steel string instrument, the bridge has a straight saddle with no extra compensation at all for the bass strings, just as a nylon string flamenco guitar would have. Sure, it plays WAY out of tune up the neck. 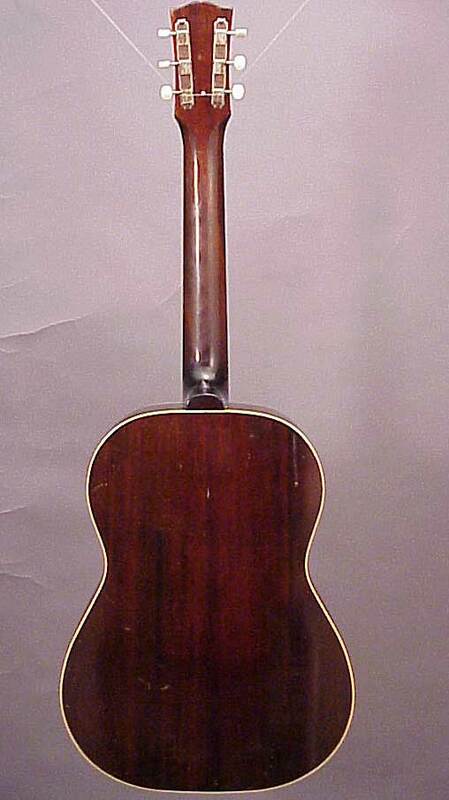 This peculiar style guitar was also available in a dreadnought size, too.